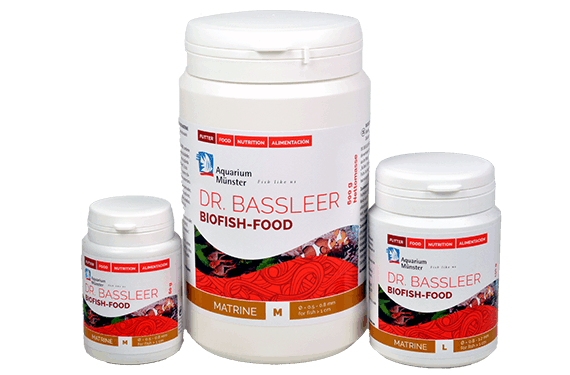 DR. BASSLEER BIOFISH FOOD MATRINE contains the valuable alkaloids matrine and oxymatrine from the plant Sophora flavescens (Chinese: “Ku Shen”), promoting healthy fish. The mucous membrane of the skin is stimulated and leads to more protection. DR. BASSLEER BIOFISH FOOD MATRINE is a valuable component of the BASSLEER-ANTI-ICH-METHOD. DR. BASSLEER BIOFISH FOOD MATRINE is offered in the different granulate sizes M, L, XL and XXL. The granulates in smaller pellet size M sink slowly, thus providing nutrients to all three water zones. 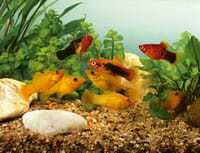 This gives surface feeders, fish in the middle zone as well as bottom feeders alike a fresh and balanced diet. Use the DR. BASSLEER ANTI-ICH-METHODE to control Ichthyophthirius multifiliis (fresh water “white-spot”) and Cryptocaryon irritans (“marine ich”). Can be done in reef tanks, if you use PROTOMOR. 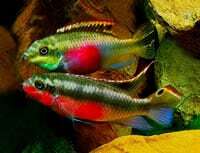 This method is also effective against the “New White Spot” Neoichthyophthirius schlotfeldti. Use FAUNAMOR or PROTOMOR (reef safe) according to instruction. Juvenile ICH parasite is damaged or killed. 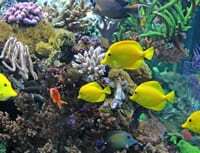 – For the “New White Spot” Neoichthyophthirius schlotfeldti add 3 – 5 g/l salt (depending on fish species). Feed DR. BASSLEER BIOFISH FOOD MATRINE during the medicinal treatment for 7 days. 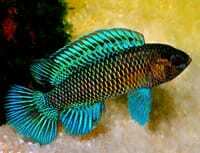 Fresh water white spot (Ichthyophthirius multifiliis) and marine ICH (Cryptocaryon irritans) will be cured after these 7 days. 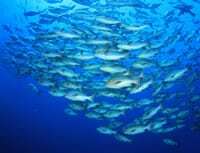 If infected by the “New White Spot” Ichthyophthirius schlotfeldti, continue to feed DR. BASSLEER BIOFISH FOOD MATRINE for 10 – 30 days. Adult ICH trophont will drop from fish and ICH tomite (“baby Ichthyophthirius”) will not attach to fish. Increase temperature by 2 – 3 °C (to 26 – 28 °C if suitable for kept fish – for Discus: 30 – 33 °C). Ensure high oxygen levels. 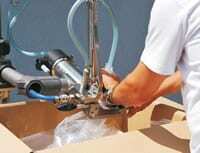 Increase efficiency of filtration by higher flow. Use a fine physical filter (< 300 µm) and UV-light to collect and kill ICH parasites. Regular filter cleaning. Exhaust suction should be 5 cm from the bottom of the aquarium to collect ICH tomont. Siphoning bottom of aquarium 2 x per day (morning and evening) to remove ICH tomonts and young ICH parasites. 24 hours light will decrease the development of ICH tomites. Warning: Some invertebrates do not tolerate continuous light.